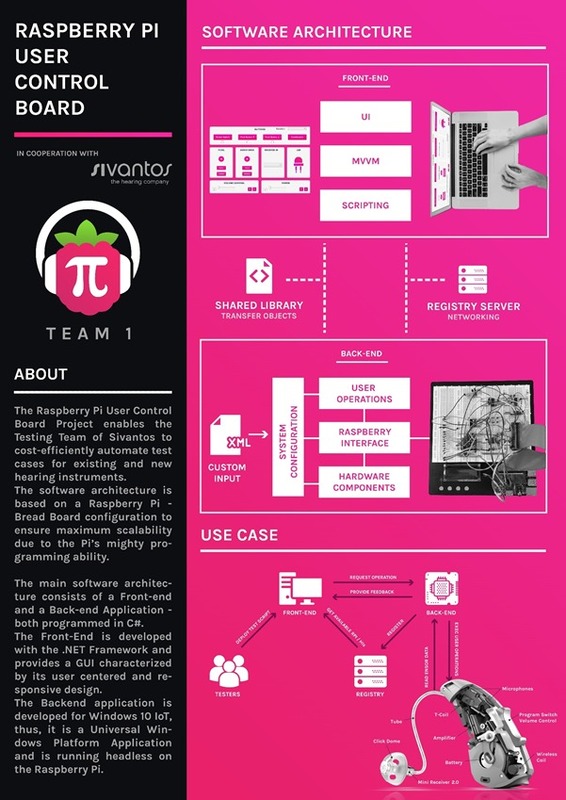 The mission of our project is to enhance the Sivantos Fitting Software System with a Raspberry Pi user control board to test the software efficiently and rapidly replacing the existing manual interaction with the system under test. 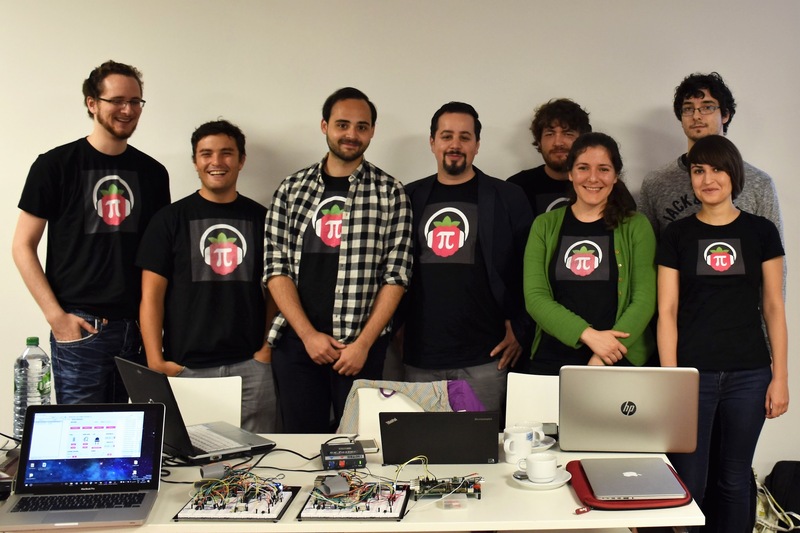 Our project enables test engineers and manual testers at Sivantos to test their software faster, more comfortably, more efficiently and more thoroughly. By enabling one of the world’s leading manufacturers for hearing aids to increase the safety of their products, we provide value to patients suffering from hearing loss all around the world. At first, we were not quite sure what our project was about. The subject was quite abstract and we had few experience with the hardware. 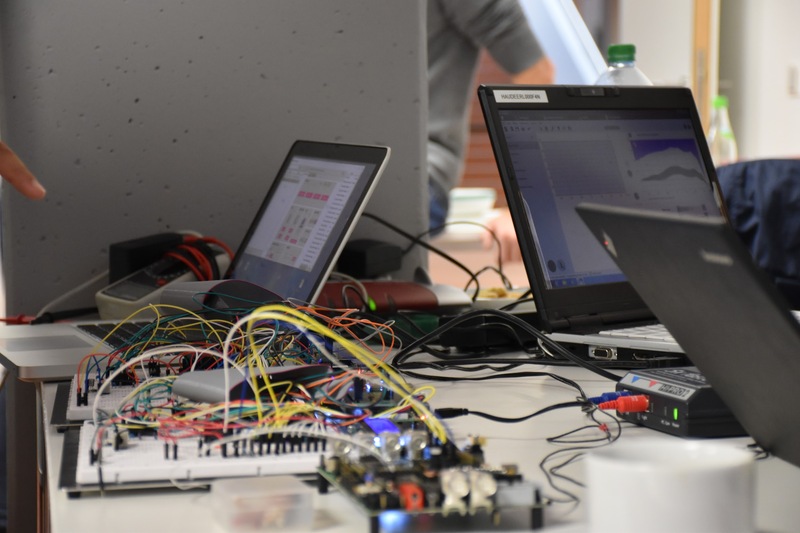 The first sprints were needed to get familiar with the development environment, the hardware components and the protocols needed to talk to the RaspberryPi. As soon as we got familiar with all the components, we were able to implement more actual features. Testing was a bottleneck, as we had to test the soft-/ hardware interaction but only had two fully functional breadboards. The close cooperation with our industry partner was helpful not only for defining the scope of the project and prioritize features, but also for debugging hardware related problems. We learned a lot, not only about software development in unknown terrain but also about Scrum in general and the importance of interaction and communication within the team in particular.